Montachusett Veterans Outreach Center provides support to military veterans and their families in need of services to develop a resilient, self-sufficient lifestyle essential to succeed in today’s environment. Since its inception, the Center has been faithful to the mission, vision, and guiding principles of founder Cathy Stallings McWilliams. The MVOC offers low-income housing alternatives and residential readjustment programs, mental health counseling, case management, employment training, personal development, veterans’ benefits resource assistance, medical transportation, and food assistance. 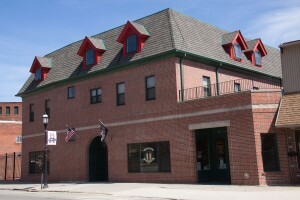 The MVOC, located at 268 Central Street in Gardner, Ma, is home to twelve transitional veteran, single room occupancy units and seven low-income permanent housing units, a food pantry, a drop-in center, and the executive leadership and administrative offices with a dedicated staff on hand for veteran-related inquiries during business hours. The MVOC operates three additional housing off-site facilities for qualified veterans: Unity House (15 room permanent-supportive readjustment program veterans housing), Nichols Street Apartments (12 unit low-income permanent housing), and Cathy’s House, an 8-bed permanent-supportive / transitional housing program designed for women veterans. Contact us or visit the Center at 268 Central Street, Gardner, MA. Hours of operation: Monday – Friday, 9:00 a.m. – 5 p.m.